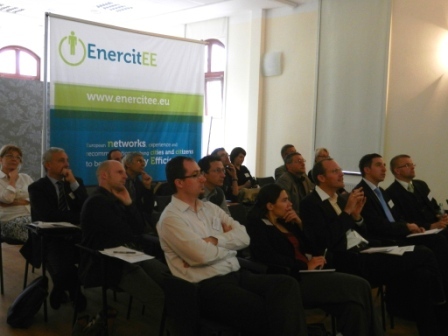 Policy Advice Seminar in Wroclaw / Poland » EnercitEE Blog - EnercitEE is a European project aiming at enhancing the understanding of Energy Efficiency among different stakeholders and improving the respective local and regional policies. 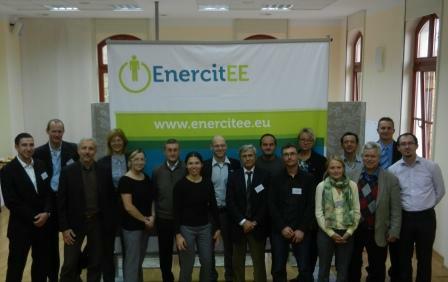 From 26 to 27 October 2011 energy experts from the regions Saxony, Smaland, Emilia-Romagna, Haute-Savoie and Lower Silesia met in Wroclaw, Poland. The overall aim of the seminar was to exchange experience on various quality managements systems, control tools and existing energy planning instruments and policies between the regions and to discuss their pros and cons. During the workshops experts presented and discussed specific instruments and policies for local/regional energy planning and implementation. The second part of the seminar was characterized by open sessions (World Café) in which the experts provided suggestions and recommendations to tackle challenges in the regions and/or on the local level. 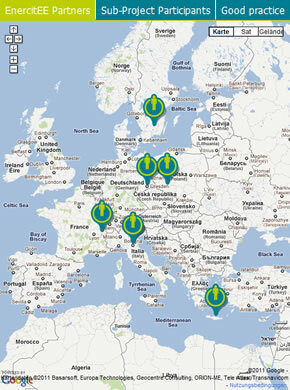 The summary of the seminar including the presentations of the experts, the outcomes of the workshops and policy recommendations will be compiled in a small brochure. This brochure should serve mayors and other decision makers, energy advisors and staff of climate and environmental protection units as a basis for for introducing new strategies, instruments and approaches in their local/regional EE work and should give inspiration for further discussion.